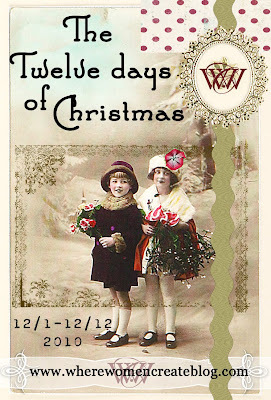 "Each day between December 1st thru December 12th, the Where Women Create Blog will feature three fabulous artists. 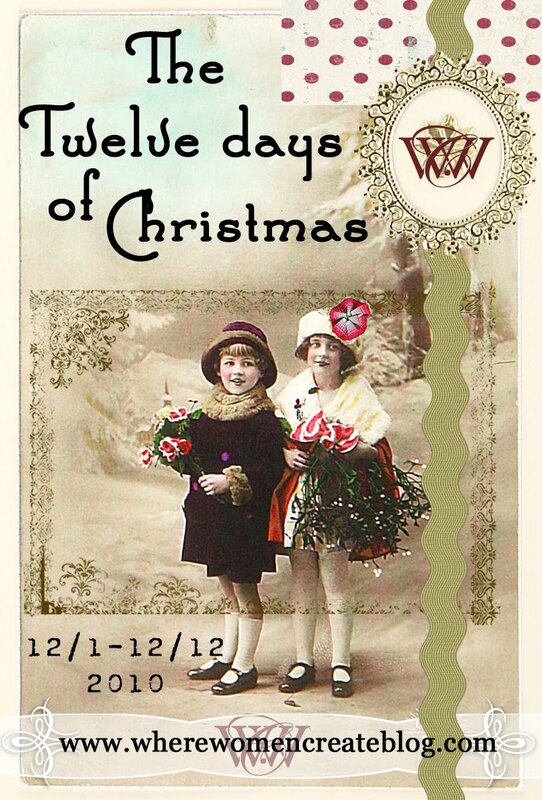 They will be sharing their cherished holiday traditions, plus giving away a fantastic prize. All you have to do for a chance to win is to leave a comment on each of the 12 posts. (Limit - one comment on each post please) You can comment on any of the posts at any time during the 12 day event." On the 3rd Day of Christmas, I am offering the very last of my limited edition Sweet Vintage Wreath Kit to one lucky winner. For a chance to win be sure to leave your comment on the Where Women Create Blog by clicking here. so fun to be part of this! enjoyed your post and the prize is so sweet. I love sharing Christmas traditions and crafts. What a great thing WWC is doing! How fun! Jeanne, this is so pretty! What a fabulous and fun idea! And I love your glittery wreath...it's very generous of you to offer it as a giveaway. This is so fun. 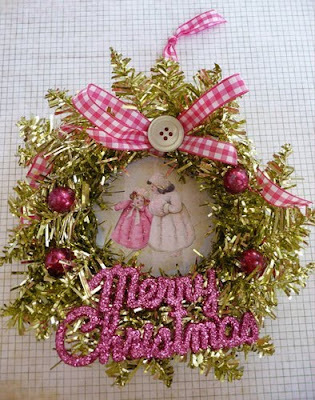 I love all the inspiration and the tiny wreath is so darn cute!